Rate this project The Linux Mint team has announced the availability of a new development snapshot for Linux Mint. The new testing snapshot, Linux Mint 18.3 Beta, features several overhauled applications. The software manager and backup utilities in particular have been given a new look. Linux Mint now makes it easier to install third-party software, such as Google Earth and Steam, and Flatpak packages can be installed through the software manager. The new beta also features operating system snapshots using Timeshift. "Linux Mint 18.3 features Timeshift, a tool dedicated to system snapshots. Timeshift is the perfect companion to the Linux Mint Backup Tool. It doesn't save your personal data, it saves everything else. Thanks to Timeshift you can create backups of the operating system itself. You deleted system files by mistake? You can recover them. You upgraded to a newer release and something isn't working well anymore? You can go back in time." Further information can be found in the project's release announcements for the Cinnamon and MATE editions. Download (pkglist): linuxmint-18.3-cinnamon-64bit-beta.iso (1,815MB, SHA256, signature, torrent, release notes), linuxmint-18.3-mate-64bit-beta.iso (1,836MB, SHA256, signature, torrent, release notes). The Linux Mint team have published an update to the distribution's 19.x series. 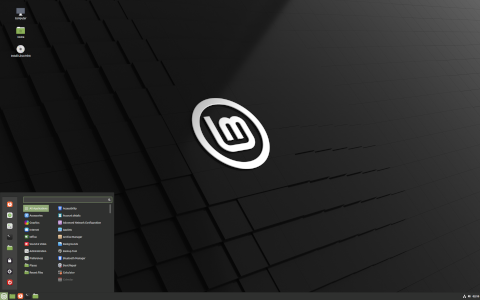 The new release, Linux Mint 19.1, is based on Ubuntu 18.04 LTS and is available in three flavours: Cinnamon, MATE and Xfce. Apart from some visual and performance improvements to Cinnamon, Linux Mint also makes it easier to report bugs and help developers fix problems: "When software crashes tools such as mintreport produce a stack trace our developers can look at to understand the cause of the crash. This is the first step towards fixing such a bug. For the stack trace to be meaningful, users need to have debug symbols installed. In an effort to reduce bandwidth for their mirrors, Debian decided to move debug symbols outside of the main repositories. This decision affected not only Debian and LMDE but also Ubuntu and Linux Mint and made it much more difficult for users to install these symbols. To simplify this process, support for debug symbols was added into the Software Sources tool. Adding debug symbol repositories can now be done with a click of the mouse." Download (pkglist): linuxmint-19.1-cinnamon-64bit.iso (1,882MB, SHA256, signature, torrent, release announcement, release notes), linuxmint-19.1-mate-64bit.iso (1,936MB, SHA256, signature, torrent, release announcement, release notes), linuxmint-19.1-xfce-64bit.iso (1,841MB, SHA256, signature, torrent, release announcement, release notes). The Linux Mint team has announced the availability a new development release, Linux Mint 19.1 Beta. The new snapshots - available in Cinnamon, MATE and Xfce editions - improve the speed of the Nemo file manager, the Update Manager has been adjusted to show alternative mainline kernel versions and Mint-Y themes were given more contrast. Some new changes are coming to Cinnamon too: "As you go through the "First Steps" section of the Linux Mint 19.1 welcome screen, you'll be asked to choose your favourite desktop layout. Cinnamon 4.0 ships with a brand new panel layout and thus with a new workflow. With a click of a button you'll be able to switch back and forth between old and new and choose whichever default look pleases you the most. The new panel ships with a window list with app grouping and window preview, a feature which has become the norm in other major desktop operating systems, whether it's in the form of a dock (in macOS), a panel (in Windows) or a sidebar (in Ubuntu). The panel looks more modern but it's also much more configurable than before." Further information can be found in the release announcements and release notes for each edition. Download (pkglist): linuxmint-19.1-cinnamon-64bit-beta.iso (1,880MB, SHA256, signature, torrent, release announcement, release notes), linuxmint-19.1-mate-64bit-beta.iso (1,934MB, SHA256, signature, torrent, release announcement, release notes), linuxmint-19.1-xfce-64bit-beta.iso (1,840MB, SHA256, signature, release announcement, release notes). 2018-08-31 Distribution Release: Linux Mint 3 "LMDE"
The Linux Mint team has published a new version of the distribution's Debian-based branch. The new version, Linux Mint Debian Edition (LMDE) 3, is based on Debian 9 "Stretch" and features the Cinnamon desktop environment. "LMDE is a Linux Mint project and it stands for Linux Mint Debian Edition. Its main goal is for the Linux Mint team to see how viable our distribution would be and how much work would be necessary if Ubuntu was ever to disappear. LMDE aims to be as similar as possible to Linux Mint, but without using Ubuntu. The package base is provided by Debian instead. There are no point releases in LMDE. Other than bug fixes and security fixes Debian base packages stay the same, but Mint and desktop components are updated continuously. When ready, newly developed features get directly into LMDE, whereas they are staged for inclusion on the next upcoming Linux Mint point release." Further information, such as system requirements and known issues, can be found in the project's release announcement and in the release notes. Download: lmde-3-201808-cinnamon-64bit.iso (1,616MB, SHA256, signature, torrent, pkglist). The Linux Mint team has released a new version of the project's Ubuntu-based editions. The new version, Linux Mint 19, is based on Ubuntu 18.04 LTS and receives five years of security updates. New changes in version 19 include the Timeshift operating system snapshot tool, the update manager now installs all security updates by default, the software manager is able to seamlessly work with both Deb and Flatpak packages, and there is a new welcome window to help users get started setting up the operating system. "Thanks to Timeshift you can go back in time and restore your computer to the last functional system snapshot. If anything breaks, you can go back to the previous snapshot and it's as if the problem never happened. This greatly simplifies the maintenance of your computer, since you no longer need to worry about potential regressions. In the eventuality of a critical regression, you can restore a snapshot (thus cancelling the effects of the regression) and you still have the ability to apply updates selectively (as you did in previous releases)." Further information and screenshots can be found in the project's release notes for its three editions (Cinnamon, MATE, Xfce). Download (pkglist): linuxmint-19-cinnamon-64bit.iso (1,854MB, SHA256, signature, torrent, release notes), linuxmint-19-mate-64bit.iso (1,902MB, SHA256, signature, torrent, release notes), linuxmint-19-xfce-64bit.iso (1,806MB, SHA256, signature, torrent, release notes). The Linux Mint team has announced the release of the project's first beta for version 19 of their popular desktop distribution. The new development snapshot is based on Ubuntu 18.04 and will receive five years of support. This beta introduces several new features, including several that involve the Timeshift system backup utility. The project's overview of new features states: "In Linux Mint 19, the star of the show is Timeshift. Although it was introduced in Linux Mint 18.3 and backported to all Linux Mint releases, it is now at the center of Linux Mint's update strategy and communication. Thanks to Timeshift you can go back in time and restore your computer to the last functional system snapshot. If anything breaks, you can go back to the previous snapshot and it's as if the problem never happened. This greatly simplifies the maintenance of your computer, since you no longer need to worry about potential regressions. In the eventuality of a critical regression, you can restore a snapshot (thus canceling the effects of the regression) and you still have the ability to apply updates selectively." The beta is available in three editions: Cinnamon, MATE and Xfce. Download (pkglist): linuxmint-19-cinnamon-64bit-beta.iso (1,783MB, SHA256, signature, torrent, release announcement, release notes), linuxmint-19-mate-64bit-beta.iso (1,832MB, SHA256, signature, torrent, release announcement, release notes), linuxmint-19-xfce-64bit-beta.iso (1,738MB, SHA256, signature, torrent, release announcement, release notes). 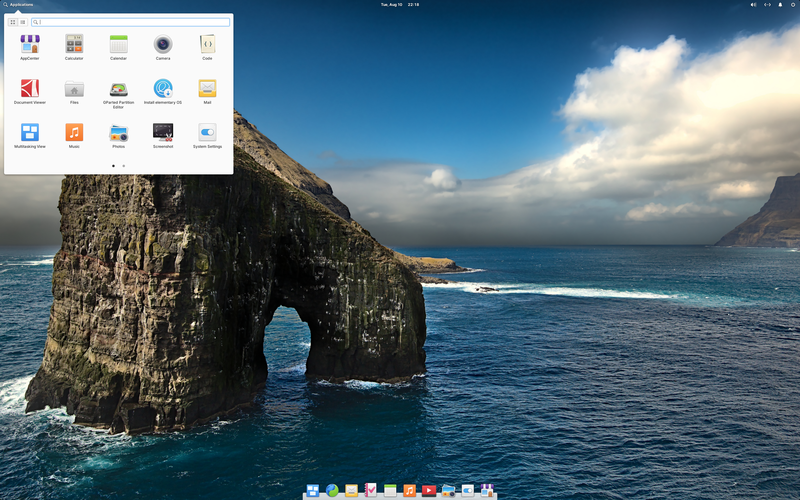 2017-12-15 Distribution Release: Linux Mint 18.3 "KDE", "Xfce"
The Linux Mint team has released two new editions of the project's Ubuntu-based series. The project's new offerings include editions for the KDE and Xfce desktop environments. Both new releases are part of the project's larger 18.3 release which already features Cinnamon and MATE editions. Along with support for Flatpak packages and a new snapshot tool called Timeshift, Linux Mint ships with a tool called System Reports which can gather key information to help trouble-shoot problems. "When a crash occurs, information is now gathered and a crash report is generated. The System Reports tool lists the crashes and is able to generate stack traces for them. When developers aren't able to reproduce a bug, that information is very useful. It's always been very difficult for non-experienced users to produce core dumps or stack traces. This tool helps a lot with that. In addition to crash reports, the tool is also able to show information reports." These pieces of information can be forwarded to the project's developers to help them fix bugs. Further information on Linux Mint 18.3 can be found in the release announcements (KDE, Xfce). Download (pkglist): linuxmint-18.3-kde-64bit.iso (2,077MB, SHA256, signature, torrent, release notes), linuxmint-18.3-xfce-64bit.iso (1,746MB, SHA256, signature, torrent, release notes). The Linux Mint team has announced a new update to the project's 18.x series. The new version, Linux Mint 18.3, is a long term support release and will receive updates through to the year 2021. The new release features an updated software manager which makes it easier to install third-party applications and should be noticeably faster. This release also includes Flatpak support and the software manager can work with Flatpak packages. "Popular software applications such as Spotify, WhatsApp, Skype, Google Earth, Steam or Minecraft are now featured and very easy to install. The user interface looks more modern and its layout is inspired by GNOME Software. It's simpler, more consistent than before and it makes the application look much cleaner. The Software Manager is now also much lighter and faster than before. It no longer uses Webkit, browsing categories and apps is almost immediate, and it launches 3 times faster than before. The backend was ported to AptDaemon and the Software Manager now runs in user mode. Consequently you do not need to enter any passwords to browse applications, and if you enter a password to install or remove an app." Further details can be found in the project's release announcements for the Cinnamon and MATE editions. Download (pkglist): linuxmint-18.3-cinnamon-64bit.iso (1,811MB, SHA256, signature, torrent, release notes), linuxmint-18.3-mate-64bit.iso (1,834MB, SHA256, signature, torrent, release notes). Clement Lefebvre has announced the availability of a new release of Linux Mint. The new version, Linux Mint 18.2, is the latest update in the 18.x series and is built upon a base of Ubuntu 16.04 LTS. The new release will be supported until 2021 and is available in four editions (Cinnamon, KDE, MATE and Xfce). Linux Mint 18.2 features improvements to the X-Apps cross-desktop applications with improved short-cuts coming to the Xplayer video player and line sorting coming to the Xed text editor. The login screen is now powered by LightDM running the Slick greeter and includes support for HiDPI. The update manager has been tweaked to help users find their ideal balance between security updates and system stability: "The Update Manager received many improvements. It still has the same mission and tackles the same issues as before (keeping your computer safe, providing bug fixes and protecting you from regressions) but it presents things slightly differently. Policies and level definitions were refined to better filter updates depending on their level of impact on the operating system and without worrying about their origin." Further information and screen shots can be found in the project's release announcements (Cinnamon, KDE, MATE, Xfce) and in the release notes (Cinnamon, KDE, MATE, Xfce). Download (SHA256, signature, pkglist): linuxmint-18.2-cinnamon-64bit.iso (1,598MB, torrent), linuxmint-18.2-kde-64bit.iso (1,912MB, torrent), linuxmint-18.2-mate-64bit.iso (1,659MB, torrent), linuxmint-18.2-xfce-64bit.iso (1,571MB, torrent).